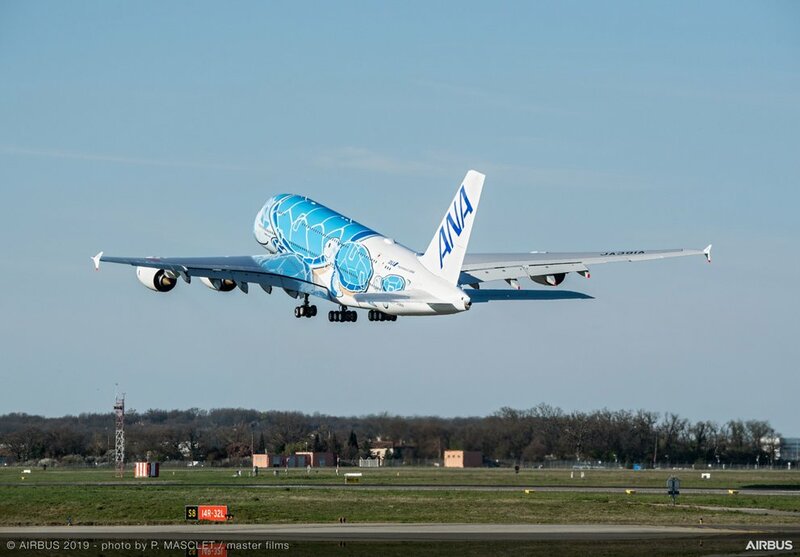 Wednesday 20th March was a major date in the history of ANA - All Nippon Airways - as the carrier took delivery of its first Airbus A380 super jumbo aircraft. 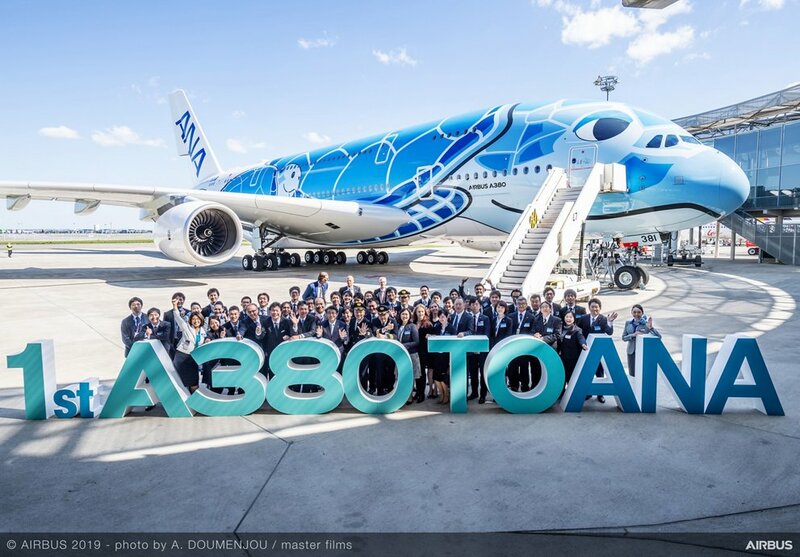 Yes, it has taken a while, yet this week Japan's largest and 5-star airline for six consecutive years has taken delivery of its first A380 at a special ceremony in Toulouse, becoming the 15th operator of the world’s largest passenger aircraft. 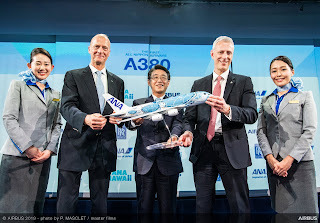 The delivery ceremony was attended by ANA Holdings President and CEO Shinya Katanozaka and hosted by Airbus CEO Tom Enders. ANA has ordered three A380s and will operate the aircraft on the popular route between Tokyo Narita and Honolulu from May 24th. Each ANA A380 will feature a special livery depicting the Hawaiian Green Sea Turtle, also known as the Honu. The livery on the first aircraft is painted in blue, while the second will be green and the third orange. 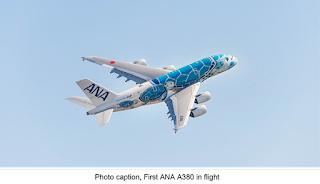 “We will commit all three of our Airbus A380 to the Tokyo Honolulu route with the goal of introducing a new level of luxury service to our passengers flying ANA on the number one resort route for Japanese travellers,” said Shinya Katanozaka, President and CEO of ANA HOLDINGS INC. The A380 offers airlines the most efficient option to meet demand on the world’s most heavily travelled routes. 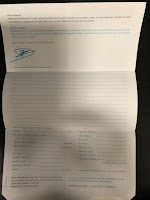 It is also firmly established as the aircraft of choice by passengers worldwide, offering more personal space in all classes, a super-quiet cabin and smooth ride. Around 250 million passengers have already flown on the aircraft. Following this delivery to ANA, there are currently 232 A380s in service with 15 airlines worldwide, flying on 120 routes across the globe. To experience the unique A380 in-flight experience, passengers can check available flights and make bookings via Airbus’ dedicated iflyA380 app or website.